Ever since I have started gardening, herbs have been my favorite part of the garden. They are beautiful, smell divine and there is nothing like cooking with fresh herbs. 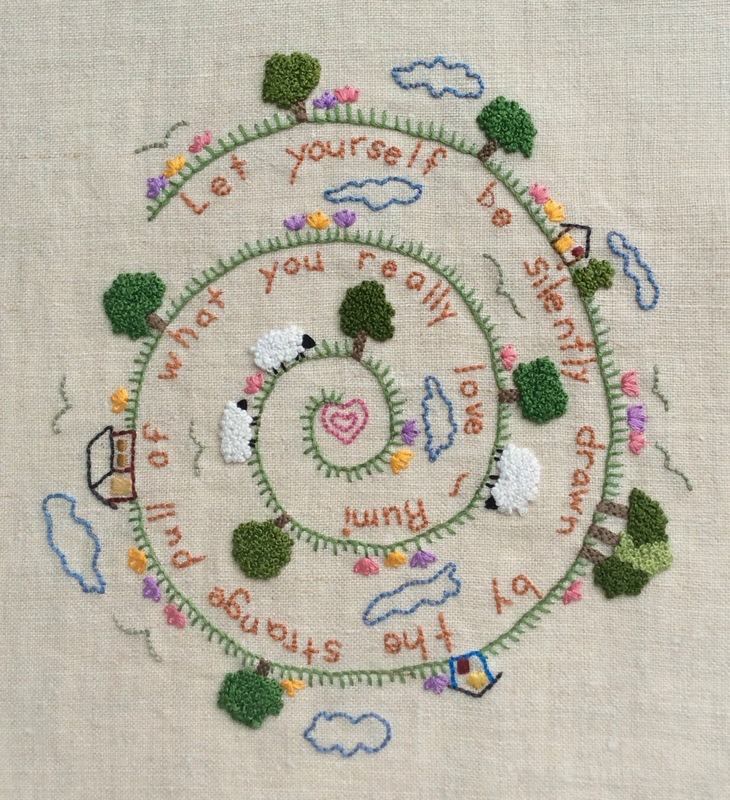 Rosemary has always been one of my favorites (second to lavender). When I lived in Virginia I could put a spindly little rosemary plant in the ground, ignore it and in a few months it would be three feet high. When we moved to Wisconsin I pined for those aromatic, abundant plants. I certainly could grow them here but they didn't get very large and died back in the harsh winters. 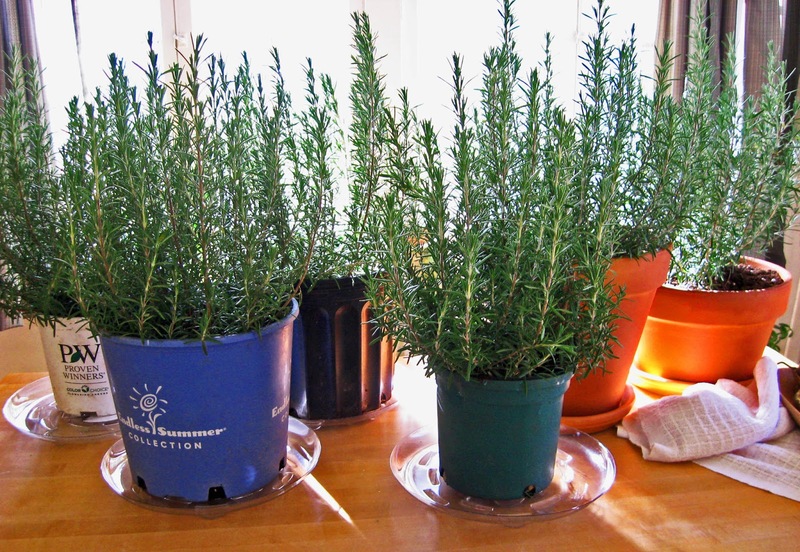 This past summer I decided I would not have a shortage of rosemary and bought six plants. I could cut as much as I wanted, taking a little from each bush so they would never get hacked way back. Well, it seemed they loved growing in a group and being cut back. By this fall I had six lush, 18 inch high bushes. I couldn't bring myself to let them die off so my sweetie helped me dig them up, pot them and bring them inside. 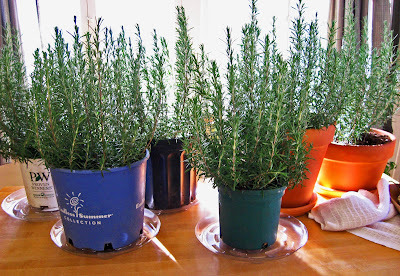 I have to say the house smells a bit strong but I am going to cut them back and offer up to friends rosemary sprigs. I was reading the lore about rosemary and it seems to cure every possible kind of ailment, keeps away evil spirits and brings good luck. So, with my dining room filled with giant rosemary plants this should be a very good winter.